Living in Colorado brings a fun excitement around the Super Bowl this year! This is an excitement I have not really experienced being a Vikings fan! 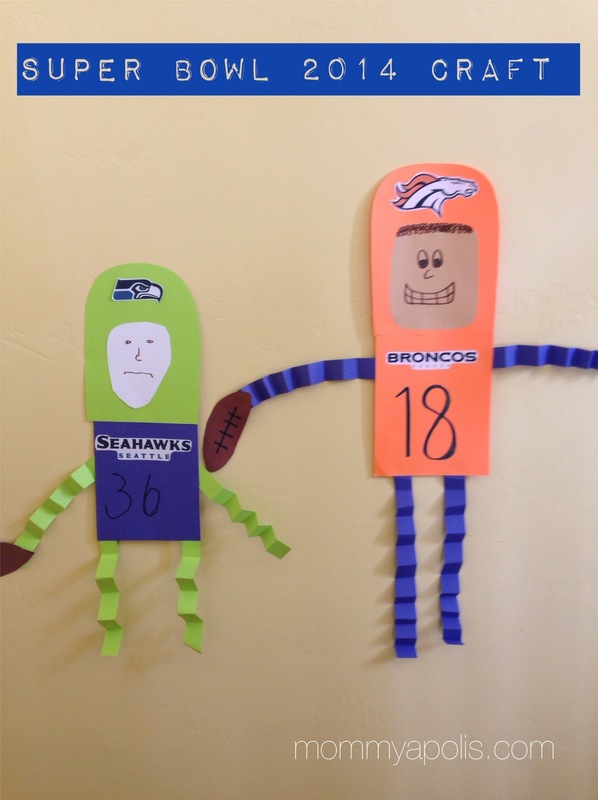 My boys are so excited so we decided to do an easy craft to kick off Super Bowl weekend! Of course Shaeffer is cheering for the Seahawks (opposite in all he does), but the rest of us are showing our Bronco pride! It’s bound to be a great game and we are excited to watch it tomorrow! To make this craft you simply need construction paper, glue and a marker… There is no right or wrong way to make them, so just cut out some rectangles, round the edges, glue them together and TADA! We accordion folded the arms and legs and drew our own footballs! We also printed out some team logos to glue on! So easy! Enjoy the game!! !